The Zamberlan Vioz Goretex (GTX) is a full leather boot designed for trekking with heavy loads. Zamberlan have integrated various of their 'technologies' into the boot including Hydrobloc leather, a memory foam footbed and a Zamberlan 3D Vibram sole which is resoleable and gives a rock-forwards motion. The first thing that struck us in getting it out the box is the high quality of build of the shoe, compared to many modern synthetic boots it definitely feels like it was built to last. 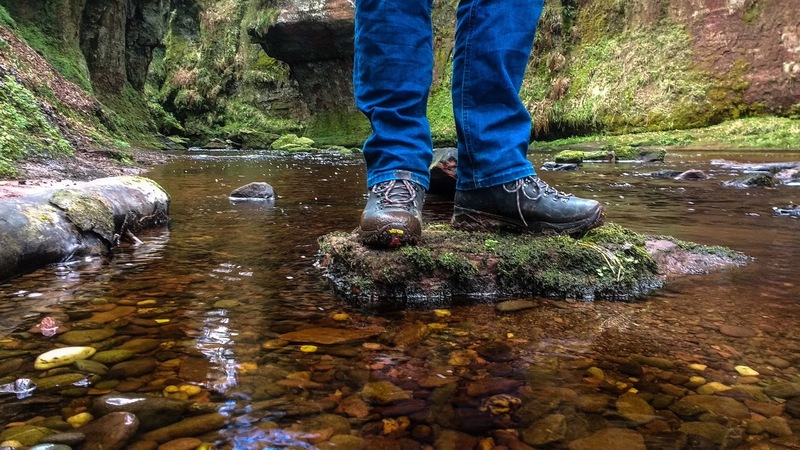 The boots have were then tested over a range of terrains and scenarios over the past few months but we will caveat this review by the fact that the long-term durability of the shoe has not been tested (this will be updated in future). The boot gave a great first impression out of the box as the fit was immediately comfortable and did not need much if any breaking in. This is quite a pleasant thing to experience with leather boots as the break-in period can often be unpleasant. We found the fit to give a good amount of space in the toe box (wide-last model also available if this is a problem) which meant that this wide and flat footed reviewer was generally happy with the fit of the boot. We were not particular fans of the rock-forward action of the boot at first as it was not something we'd come across before in boots but once we got used to the spring loaded footing it became appreciated on longer treks. The resoleable nature of the Vibram soles is a great feature for leather boots such as these as with good care and attention to the uppers, the boots should be expected to last a good few years (rare with modern gear...). There are however a few negative points with the boots. Having tested them in Scotland, the thing that became immediately obvious was the poor grip on wet rock. This is due to the hard rubber compound used in the soles, it does, however, mean that the soles will be much more durable than in other boots we have tested. The other drawback we felt the boots had was the use of Goretex in the construction. Marketing over the years has driven companies to introduce Goretex into most of their boots which we feel is a shame as good leather boots do not need Goretex to be waterproof and it annoyingly reduces the breathability of the leather leading to sweatier feet. What this often leads to (for this reviewer in particular) is damp feet, not from water coming in but a lack of breathability (no matter how breathable marketing campaigns tell you Goretex is). We should note that in the case of Zamberlan, the Viox GTX boots are a mid-range model and their higher range models (Latemar & Sella models, made with a Norwegian welted construction) do not use GTX. Things we like: Good build quality, durable, comfortable fit out the box. Things we don't like: Poor grip on wet rock, use of GTX.